Come join us on April 26 from 6-9PM and April 27 from 9AM to 4PM for our 9th Annual Craft Day fundraiser! The two day event is located at The Springs church and is a fun time to work on your projects, visit with friends and eat great food!! Tickets are $35 and that includes a 6 foot table for your crafting space, snacks and drinks for Friday night, a light breakfast, snacks, lunch and drinks for Saturday as well as materials for two make n takes. Contact Kathryn for questions at kathryn@mend.org. Register today for the 2019 M.E.N.D.ing Miles Virtual 5K! North Texas Giving Day is a great way to support M.E.N.D. We would love for you to join us for our 8th annual Craft Day fundraiser on Friday, April 20 from 6-9 and Saturday April 21 from 9-4. Bring your favorite craft and enjoy a fun girls day out! Tickets are $35 and include: snacks and drinks, breakfast and lunch on Saturday, crafting space, door prizes and make-n-takes. There will be a silent auction as well with several items to choose from! It will be located at Hillside Baptist Church at 8366 W. State Highway 266 in Springfield. The force is here! Join us for a private pre-screening of Star Wars The Last Jedi benefiting M.E.N.D. Click the button below to be the first to see the new movie all while supporting M.E.N.D. 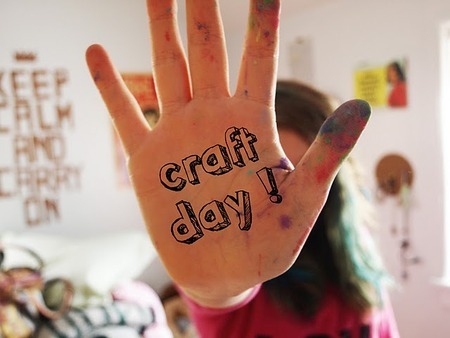 Come join us on April 1st for a fun day of working on your favorite craft project!! A ticket only costs $30 which reserves your table space and includes a light breakfast, lunch, snacks, drinks, make-n-takes, games and prizes. We will also have a silent auction. Bring a friend for a great time together! Join us at Second Baptist church upstairs in rooms 210 A&B from 9-2:30. Contact Kathryn Gold for questions at kathryn@mend.org. Please join us for a fundraiser at MOOYAH. A portion of the proceeds will be donated to M.E.N.D. Chick-fil-A has offered to share its profits for the night with M.E.N.D. 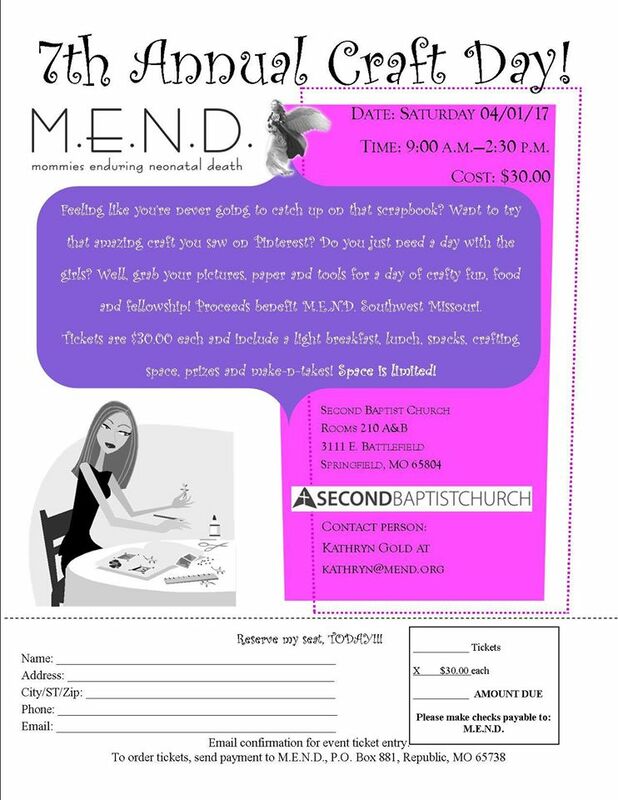 Come out, enjoy some great food, and help M.E.N.D. earn some money so that we can minister to families suffering from neonatal/infant loss. Just drop off your receipt inside or mention MEND as you order at the drive-thru.